In the WFC, 16 teams are divided to 4 groups. 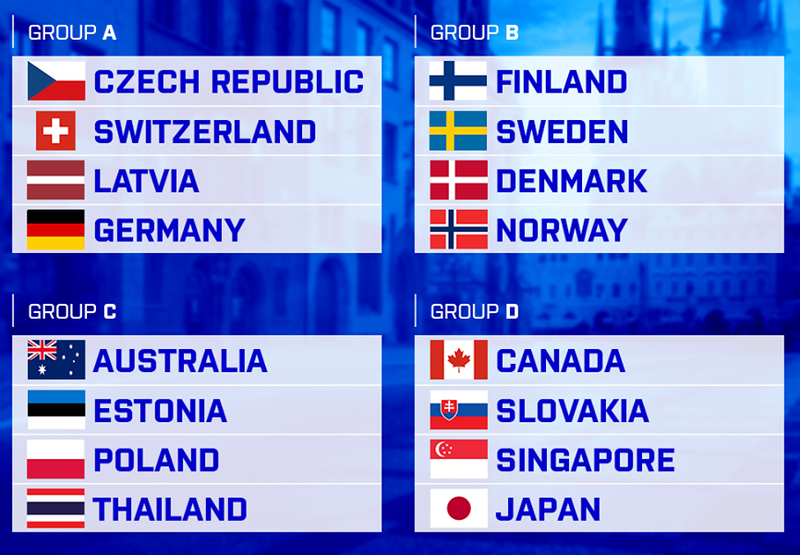 In the group stage each team plays each other once, while the second stage of the event includes play-offs and placement matches. The two best teams of group A and B go directly to the quarter-final. Teams placed 3rd and 4th in group A and B and the teams placed 1st and 2nd in group C and D make it to the first playoff round (played before the quarter-finals).